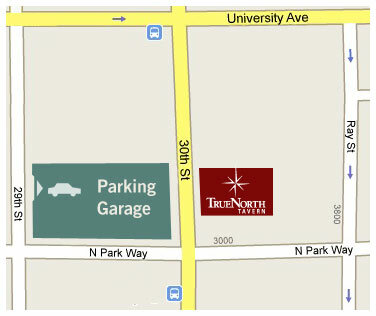 True North is located across the street from a convenient parking structure. Its rates are just $1 hour and never more than $5 a night. For more information on parking garage rates and hours, please call 1-800-925-7275.